Beautiful new park on a small bay on the St. Mary river. Most sites, some pull-in, some back-in, offer views up the bay onto the main river. Ore boats can be viewed making their turn around Lime Island. Big rig friendly. Our site was huge, providing ample room for our 38' 5th wheel. Full hookups and firewood for sale. I had Dish Satellite and good Verizon on my site. Owner rebuilt a small marina to include a couple of docks and a boat launch. 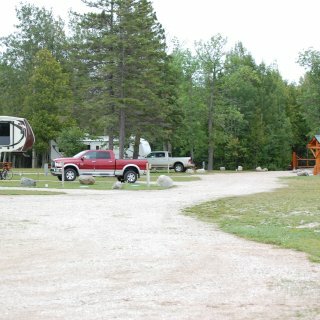 Campground is quiet and natural. No outdoor lighting obscured our nighttime star viewing. As mentioned, gated access so reservations required. Owners replied promptly to texts and emails when coordinating reservations and access. Bring your canoe or kayaks as the campground area would be perfect for either. Will camp here again. We camped at Paradise Point RV Park in a Fifth Wheel. 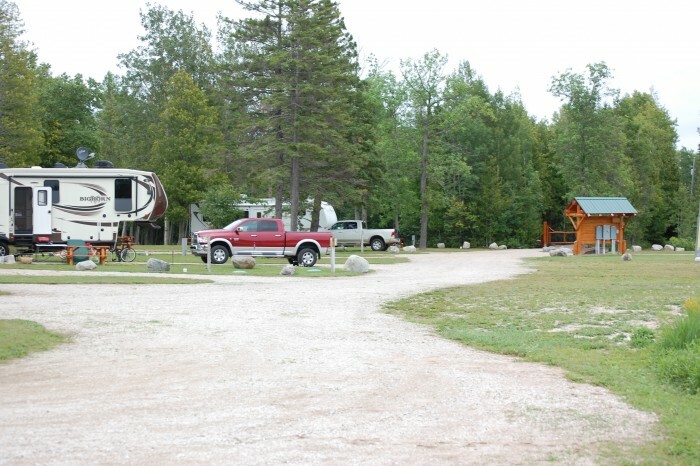 Really lovely small RV park. The only thing I would highly advise is to make sure you have reservations before you visit. There is a gate up on a fairly narrow road and if you drive up without reservations and no one is there, your only coarse of action is to back your rig up... Not good for larger rigs with tows. Not impossible, but not good. We started out planning to stay 1 day; but extended our time to 3 because this was a nice, clean campground that is close enough to Lake Charles. They had approximately 30 cable TV channels, and full hookups. Would definitely stop again if we were coming through this area again. We camped at A+ Motel & RV Park in a Travel Trailer. This resort is wonderful. It has the friendliest staff ever. Would definitely return. Made great friends and they have fantastic day trips, bingo, and alot of other amenities. Hot tub was a plus, but it's the people here that make a difference. We camped at Admiralty RV Resort in a Travel Trailer.